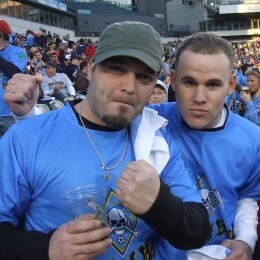 The Philly Soccer Page – Page 878 – The ball is round. The place is Philly. Union fans — Who are ya? WHO ARE YA? 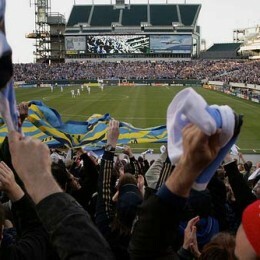 is a new feature looking at Philadelphia Union fans at the home matches. Basically — this is us, these are Union fans, and we think they’re pretty cool. Come meet a few. Califf on Union fans, news ahead of Thursday’s game in Toronto, Independence news, World Cup tickets at the supermarket and more morning news. We take a look at the appointment of Claudio Reyna as USSF’s Youth Technical Director and head of the US Soccer Development Academy. US Soccer’s top referee says Jaime Moreno’s goal against Philadelphia Union should have been disallowed. PSP covers that, DC United’s friendly against AC Milan, and other news of the day. Le Toux is player of the week, Union president Tom Veit addresses security problems, the opening day mess in St. Louis, and a Bulgarian team president saves the life of one of his players during a game. Yep, it’s your daily news roundup. All the results from Sunday’s United Soccer League games. Did you get stuck on the security line from hell before the Union game? Did you miss the first regular season goal ever scored by your team? 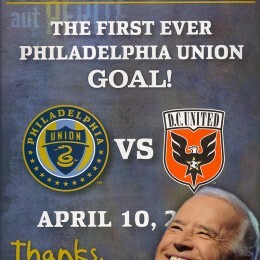 Do you wish Joe Biden never came to the Union game? Well, we have something for you. 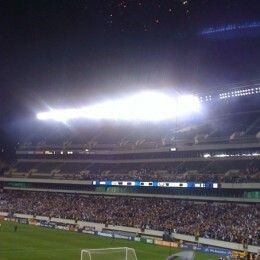 Terrific soccer, a great crowd, and how the Linc blew it: What we learned at Philadelphia Union’s home opener, along with player ratings for the match.